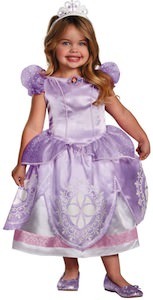 Is you daughter like a little princess? 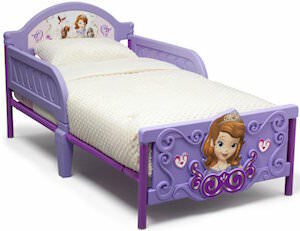 If so then this Sofia the First bed would be perfect for her. This toddler bed is made from a future princess and just looks stunning. The bed is purple with metal and plastic parts and even a part to prevent you child from rolling out of the bed. The beds headboard shows a image of Sofia and her animal friends and that of course makes it feel like you are sleeping surrounded by your Disney friends. And then there is the foot end witch has a 3D finish with in the middle a big picture of Sofia the First making this a real special kids bed.